CLICK HERE to download (ดาวน์โหลด) the Novice Ordination Script in acrobat version. 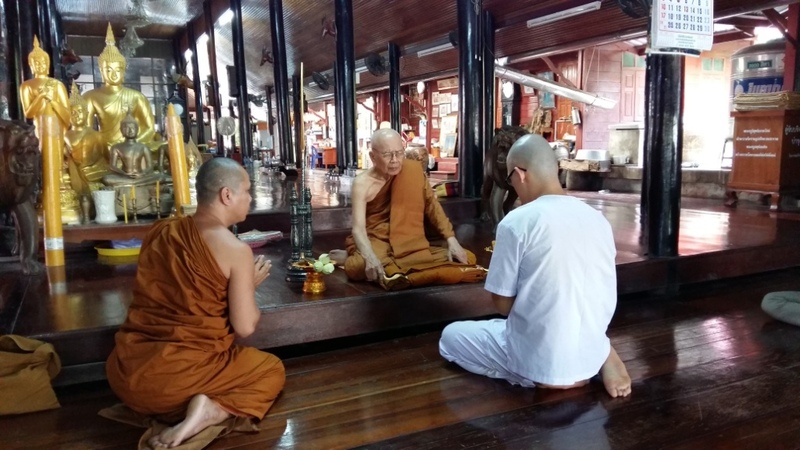 How to chant (audio): To learn how to chant the script, you may refer to this video The Buddhist Ordination Chanting by Phra Maha Nayok of Wat Bowonniwet Wihan– the first 6 minutes is for novice and after that is for Bhikkhu. 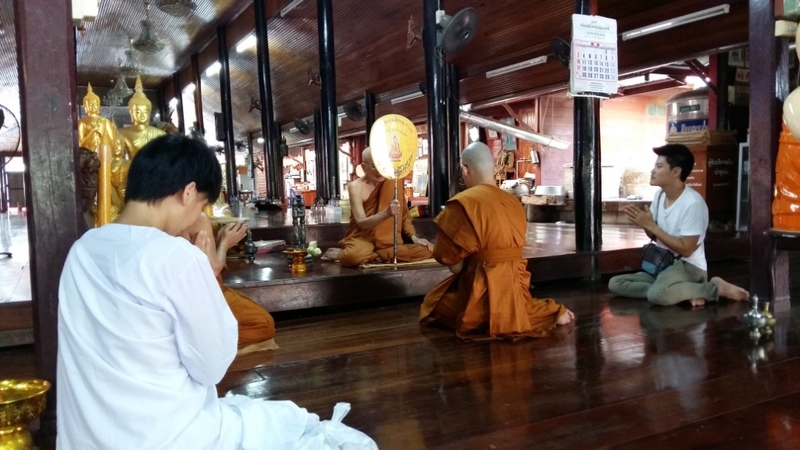 Before ordination, the soon-to-be novice would need to seek for forgiveness from parents (if they are present) or guardians. 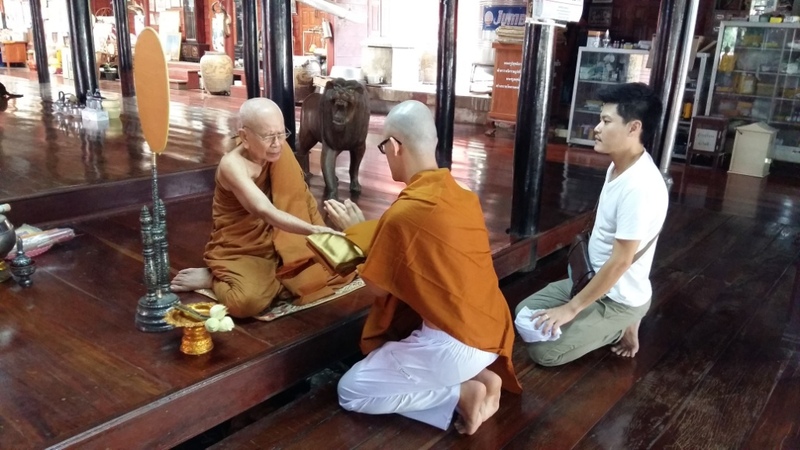 A senior respected monk who is a Upajjhāya (Preceptor) would be invited to perform the ordination. A prepared set of robes would be formerly offered to the person who wishes to ordain. 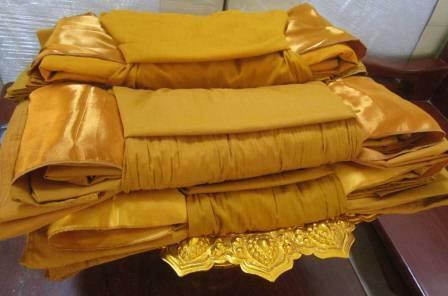 Then the Upajjhāya will receive the applicant’s set of robes. 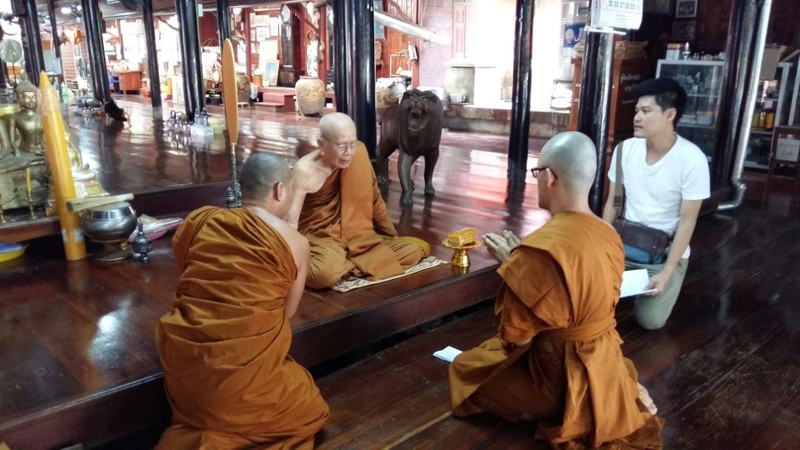 Having placed it in front of himself, he instructs the applicant on the basic knowledge of the Triple Gem (the Buddha, the Dhamma and the Sangha), telling him how he can go to it for the refuge (as moral conduct, meditation and wisdom) and how he can benefit by being ordained. He then hands back to him the rest of the robes, teaching him how to put them on. He then orders the applicant to go out and put on these robes. A Bhikkhu leaves the assembly to help him. 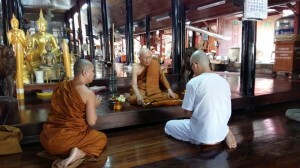 The applicant then carries the set of robes on the forearms as before, with hands joined in the gesture of respect, backs out (walking on his knees) to the edge of the platform/ hall before walking to a suitable place where he will put on the robes. This complete the Ordination Procedure. Following are frequent chants that you would need to know on the day of the ordination. To be chanted at end of each chanting session before leaving the chanting hall. As novices, you would receive offerings from lay persons. 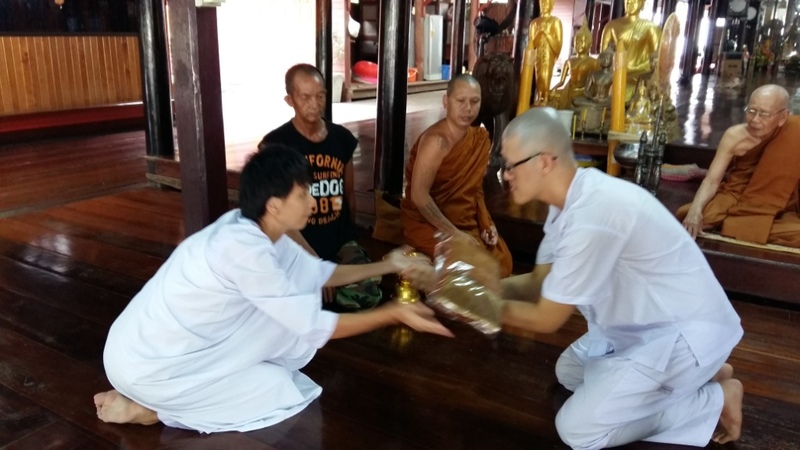 Upon receiving the offerings, the blessing (anumodana) is chanted. This is chanted during offering of meals, food, requisites and during almsround.